You know the drill. The alarm goes off and you hit the snooze button. You wake up and look at the clock in disbelief. You can’t function without coffee but you longer have time, so you rush to work instead. Wouldn’t it be great if there is someone else who can make coffee for you? This is where a super automatic espresso machine comes in. Let’s face it. The art of coffee making isn’t easy to master. There are several steps you need to take in order to create a perfect cup of coffee. A super automatic espresso machine does almost everything for you. It will grind your coffee beans, properly measure the beans and water to be used, froth your milk, and dispense your coffee. All these can be done with just a push of a button. Convenience is a huge factor when looking for an espresso machine. These super automatic espresso machines will make perfect espressos, americanos, lattes, and cappuccinos with a single press of a button. Jura Impressa is a state-of-the-art super automatic espresso machine filled with features you’ll love. With its full plethora of high end functionality, all demands are more than met with a touch of a button. All you have to do is to sit back, relax, and read the newspaper while waiting for your morning coffee. The Jura Impressa gives you control over everything – from temperature to coffee strength, drink volume, and milk texture. 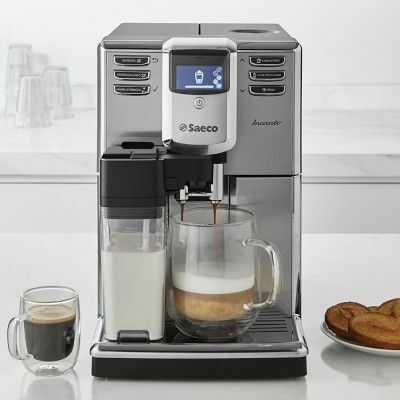 It has dedicated buttons for latte macchiato, cappuccino, coffee ala carte, coffee, single and double espresso. It can accommodate a wide variety of tastes and preferences. 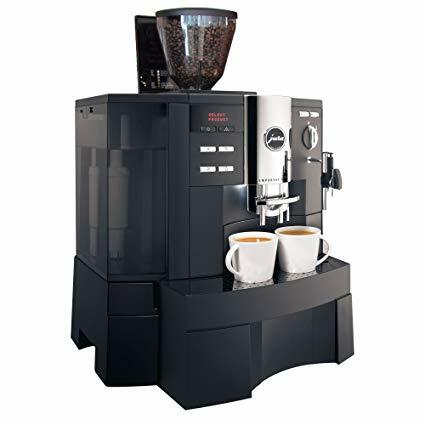 If you are looking for a big, burly espresso machine that can handle pretty much any quantity you can throw at it, this will be an excellent option for you. This machine is more than up to task of keeping pace. Do you find yourself visiting your local coffee shop because you can never seem to make coffee that tastes as good as the ones you get at a cafe? If so, then the Oracle may be just what you need. 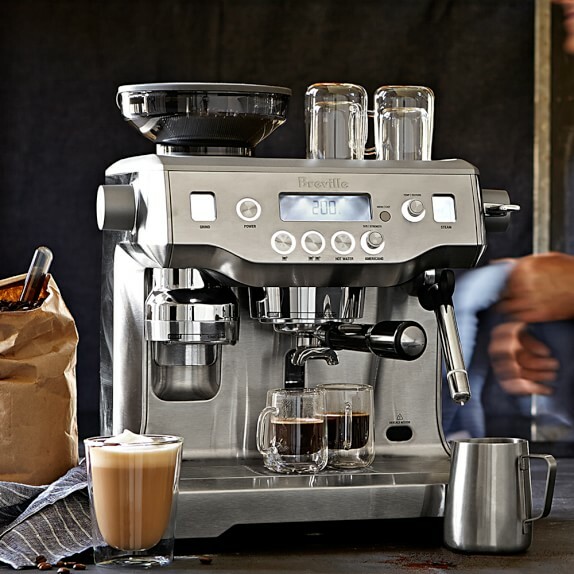 The Oracle allows you to create cafe-quality beverages at the comfort of your home. Features include adjustable grind settings, PID temperature control, milk frothing controls, programmable shot volumes, tamping system, built-in grinder, automatic rinsing and descaling options. That means, you no longer have to exert any effort in making your coffee. In fact, you can make a delicious, steaming cup of java in under a minute. You don’t even need to be a skilled barista to make one. 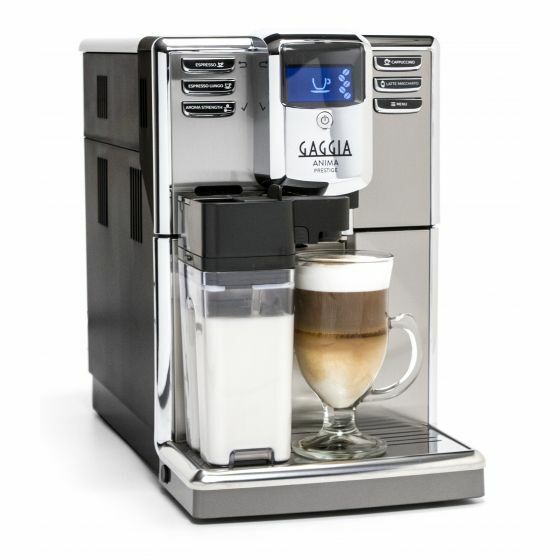 The Gaggia Anima Prestige is your personal barista. With 6 dedicated buttons, LCD screen, and an auto-frothing carafe, you can have your favorite beverage at a touch of a button. The Anima can make espressos, cappuccinos, macchiatos, and lattes. Aside from its one-touch brewing feature, it allows you to customize your beverage to your liking. It provides users with options to personalize grind and coffee strength across five settings. Other features include temperature control, double-chambered carafe, and programmable pre-infusion function. The Anima Prestige is as easy to clean and maintain as it is to use. It has an alert system that will notify you if the bean hopper needs to refilled, if the drip tray or dregs drawer need to be emptied or when it’s time to descale. The carafe is dishwasher safe and can be stored in the fridge for easy access. 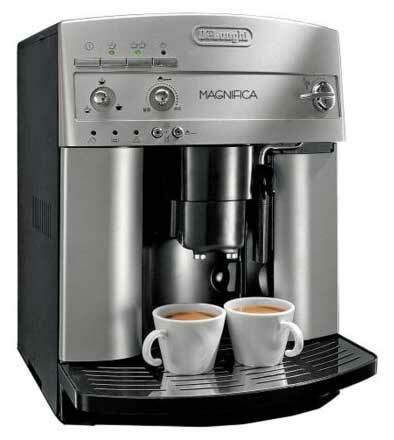 The DeLonghi Magnicia is one of the more affordable models out there, but it is durable, stylish, and powerful. It may be small, but it is packed with plenty of power and productivity-enhancing features. Each cup is brewed to the perfect richness, density, and temperature. It also comes equipped with a programmable menu settings, so you can customize your beverage to your preferred taste, strength, and size. The machine remembers the details to ensure it’s always just the way you like it. To ensure maximum freshness, the Magnifica comes with a professional burr grinder that instantly grinds coffee beans before brewing. But if you have pre-ground coffee at home, you can use that as well. You, your family and friends can enjoy delicious cappuccinos, espressos, and lattes anytime you want. Be your own barista with the Magnifica by DeLonghi. The Saeco Incanto is a stylish, capable, well-rounded espresso machine that offers one-touch convenience and gives you an incredible amount of functionality for the price. The robust stainless steel casing houses high quality Italian technology, engineered to deliver maximum flavor. Thanks to the quick heat boiler, you can brew latte, espresso or cappuccino without the wait. It also comes equipped with a ceramic grinder, so you can grind your coffee beans without the risk of overheating and tasting burnt. With the AquaClean Filter, you can enjoy up to 5,000 cups of coffee without descaling. Other effort-saving features include top-access water and bean reservoirs, replaceable water filter, and dishwasher-safe brew group. Because of its convenience, the super automatic espresso machine appeals to two types of people: super busy professionals and super lazy coffee lovers. If you want to have a great cup of coffee without getting too deep into the process, a super automatic espresso machine would be perfect for you. With this type of espresso machine, you can easily make specialty coffee such as espresso, latte, cappuccino, and macchiato at a touch of a button. You don’t even need to be a professional barista to make one.